Police have discovered what they believe to be the largest cannabis factory ever found in England, in an abandoned quarry. 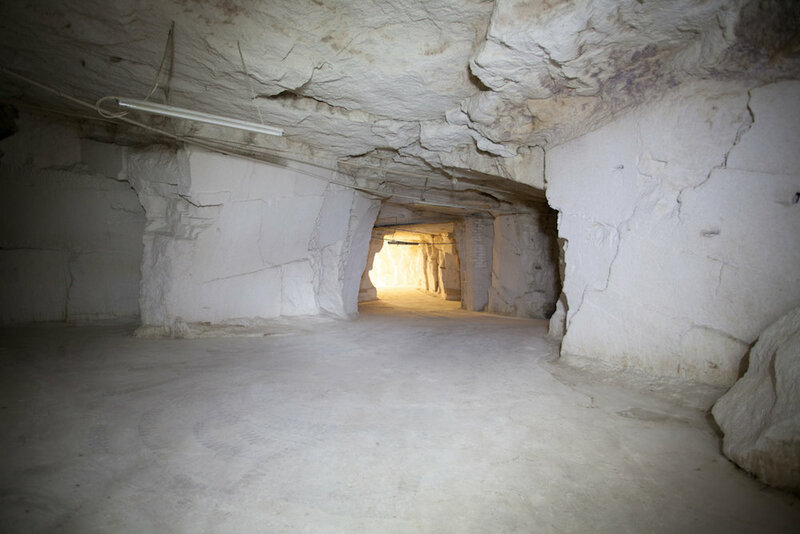 The labyrinthian underground maze has been used for large-scale weed production in Bethel Quarry, Bradford on Avon, Wiltshire, police reported, after executing a search warrant. 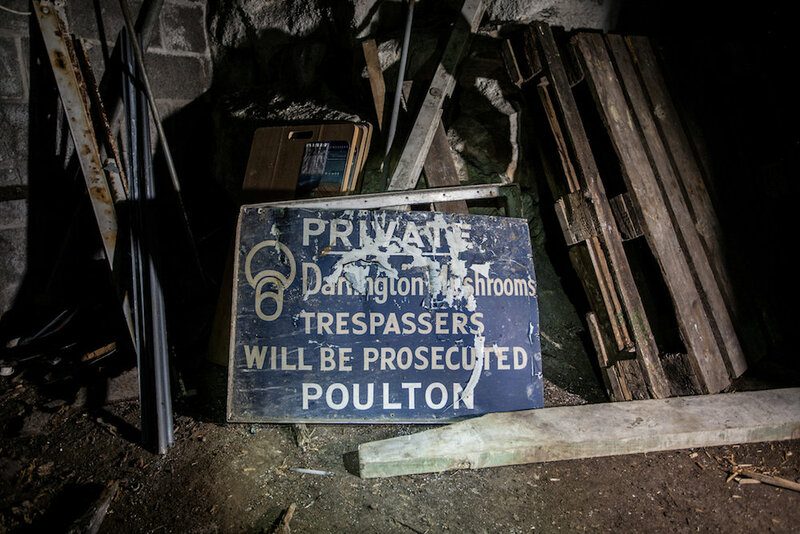 The tunnels form part of a former limestone quarry, where Heinz, the family-friendly company famous for its baked beans – no pun intended – took advantage of the damp and dark conditions to grow mushrooms for its soup after WW2. Needless to say, the premises have been home to a marginally less nutritious growth operation in recent months, as can be seen in photographs captured on site. Police now say they believe the site has been used as a cannabis factory which may be the biggest of its kind ever discovered in the UK. 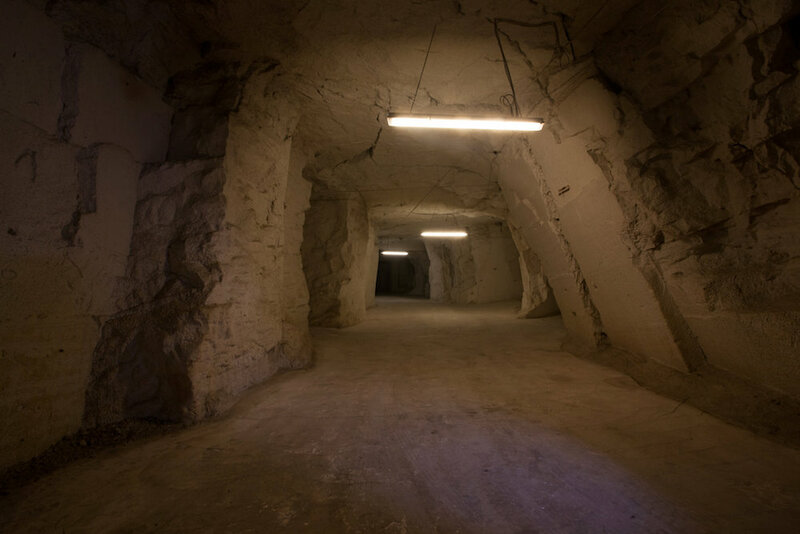 The quarry tunnels were sold in 2011, and in 2015, a group of urban explorers said the site had been closed for years. 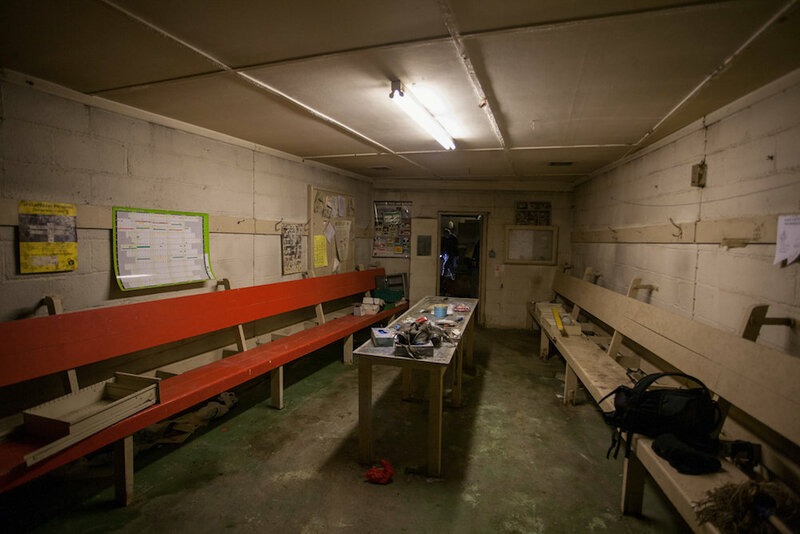 But recently, the group reported finding it ‘wide open’ with the electricity and lights on. One explorer, upon entering the premises, claimed he’d been ‘physically assaulted by some thug wielding a baseball bat’ who accused them of breaking in. The exact size of the operation remains unclear, as the tunnels must be made safe before the authorities are able to enter. We haven’t been able to properly assess it. There is talk that it is potentially bigger than the Chilmark bunker cannabis factory. Close to the sleepy rural village of Chilmark, officers found 4,425 cannabis plants growing in the bunker, spread across 20 rooms, as well as 6,500 ‘used’ plants, with some crops already harvested and dried, back in August 2017. At the time, Detective Inspector Simon Pope, of Wiltshire Police, called the cannabis factory an ‘enormous and sophisticated’ operation, with the potential to grow into ‘a highly profitable criminal enterprise’. Three men – Martin Fillery, 45, Plamen Nguyen, 27, and Ross Winter, 30 – admitted conspiring to produce a class B drug as well as charges of abstracting electricity. Fillery, who was also found guilty of money laundering, was jailed for eight years at Salisbury Crown Court, in a trial which took place in August 2017, while Nguyen and Winter were handed five years each. 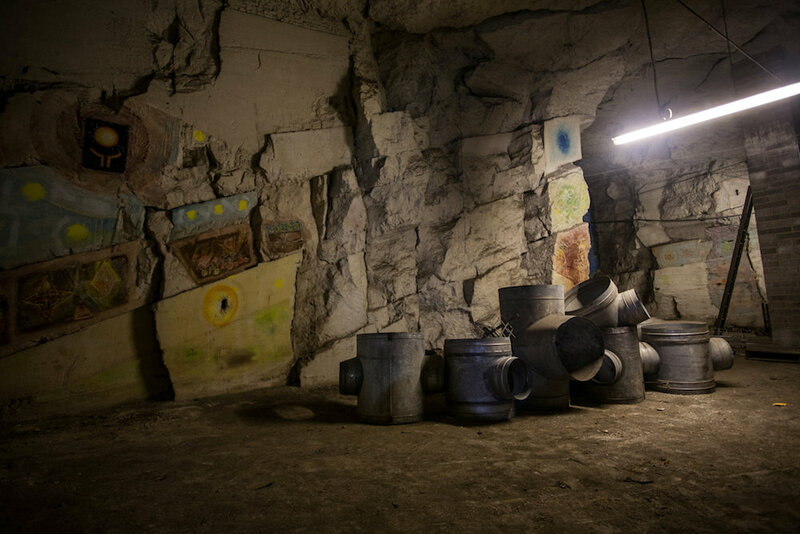 It remains to be seen if the operation recently discovered in the abandoned quarry (pictured above) matches their illegal endeavours. Two men have been arrested since the cannabis factory at the Wiltshire quarry was unearthed. Alksander Shyti, 45 and Altin Deda, 39, were charged with the production of cannabis at the quarry and were due to appear at Swindon Magistrates Court yesterday (Friday 28 September). Meanwhile, the debate of legalising marijuana for medical purposes slowly burns on, with one camp against legalisation and the other – many of whom have illnesses they believe to have been cured by cannabis – saying they’re in desperate need of weed. UNILAD spoke to Bud Buddies’ cannabis consultant, Jeff Ditchfield, who claims the UK is particularly ‘backwards’ in their ideology towards the legalisation of cannabis for medical use. Jeff is part of a small, stretched team of people sacrificing their lives to meet the demand for quality cannabinoid products to treat serious illnesses like cancer. There’s been a marked interest around the subject of medical marijuana after Deryn Blackwell, 17, appeared on This Morning with his mother Callie, speaking out and claiming cannabis helped save his life when he was told he only had two weeks to live. The viewing public was astounded when Deryn revealed he’s now fully healthy, despite previously suffering from Leukemia and Langerhans Cell Sarcoma. Marijuana is legal for medical use in Australia, Canada, and in half of US states, as well as Ireland. But in the UK, you face up to five years in prison for possession and 14 years for supply and production. Arguments have been raised which suggest the banning of certain substances – such as Spice, or ‘synthetic cannabis’ – actually drives production underground and potency up. Ironically, Spice was designed in labs to offset marijuana addiction, and produced until the significantly more severe side effects were realised. The official line from the UK government states cannabis is a ‘very harmful, very dangerous drug’ which can cause ‘huge mental health problems and addiction’ and which ‘has no medicinal benefits in herbal form’.